As with all sailing events, the wind is a major contributing factor and this race has been a light to medium wind event so far. The forecast is not promising any real fireworks either. With light airs, another enemy comes into play – the tide. Currently, 2 boats have made it through the North Channel tide gate and are now neck and neck on the “charge” to Wicklow. Tonnere, a Ker 46, is leading the way ahead of his much larger foe, Green Dragon, a V70, which in theory should be well out in front. On handicap, a real dogfight has developed between Tonnere and Inis Mor, who between them have lead the race on corrected time since the start. Other challengers, NUI Galway and Noonmark VI are keeping tabs on the leaders but the one all of them will be watching is Cavatina. Already a 2 time winner, Cavatina, has hauled herself up from a lowly placing in the 20’s to 5th this morning. I guarantee you, the tacticians on board the leading boats will be watching her progress every inch of the way. It’s unlikely that we’ll have a finish before dark tonight and it is quite likely that we could have a match race to the finish of the 46 and 70 footer rivals sometime in the late evening today, early hours of Thursday morning. Winds are southerly but not very strong, so they’ll probably be tacking down the Irish Sea. Theo and Dennis of our race team will be on hand to greet their crews on arrival and it will be fingers crossed that it will be high tide so that we can get them alongside for a few hours, due to their deep draughts. We hope they’ll consume several draughts of a black liquid if they do make it ashore in Wicklow! The bulk of the fleet will be arriving Thurs pm through to Fri pm, so we expect a fairly buzzing Wicklow Sailing Club clubhouse over the next few days. After such a brilliant start and a wonderful SailFest, all we need now is a nailbiting finale with mid fleet boats staying in the hunt right up the finish line. Come on Cavatina – no. 3 is in sight, we’re all rooting for you. The other serious dark horse out there at present are the students of NUI-Galway – any Irish winner would be a boost to our flagging morale. Of course, there is a lot of interest from Wicklow with 6 or 7 sailors scattered amongst the fleet. Currently, the one doing best is Simon Johnson, bowman on board Tonnere. 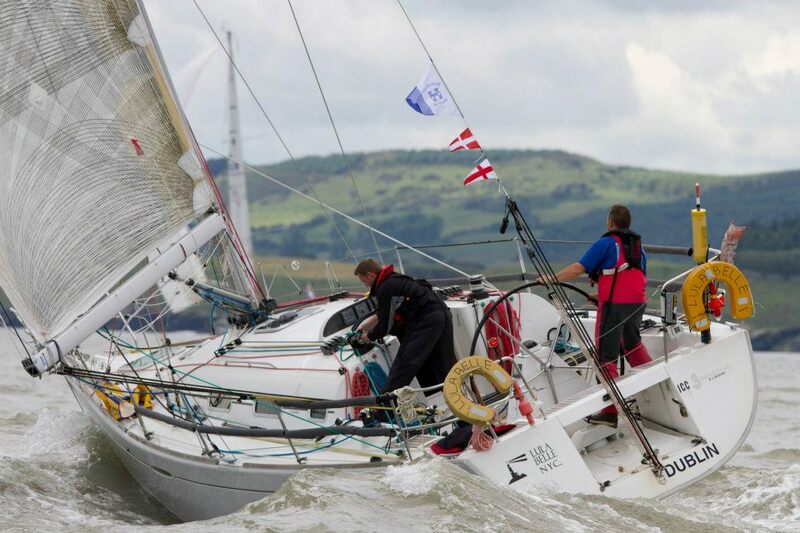 Brian Flahive, on Lula Belle, had been well up the fleet until they broke their gooseneck – the joys of sailing. As always, we wish all our sailors a safe passage and hope to see them again in 2 years time. Two Irish teams were on pitches on the opposite side of the world playing their respective World Champions within 36 hours of each other this last week. 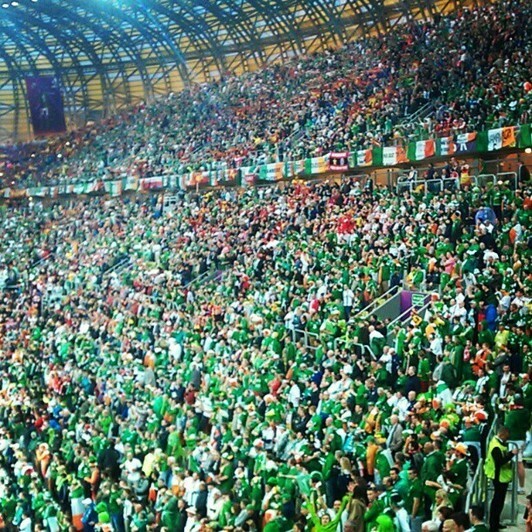 In soccer, our boys in green took on the mighty Spanish in Gdansk, the current European and World Champions and lost miserably despite the wonderful support of c.20,000 very forgiving fans. In New Zealand, our rugby team returned for a second bite of the apple against the formidable All Blacks in Christchurch and almost beat them, despite having minimal support. 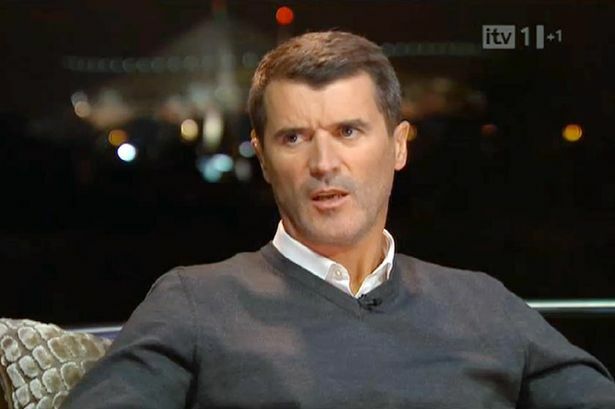 Whether we like it or not, Roy Keane told us a few uncomfortable home truths after the game against Spain about our standards and expectations. 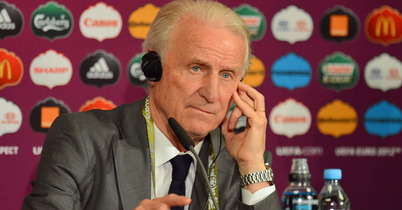 Speaking as an expert panellist on ITV, he lambasted the Irish performance and also the singing of the fans despite the trouncing being handed out by the World Champions. Largely, I have to say I agree with his core point but his delivery was OTT and to an extent, offensive. 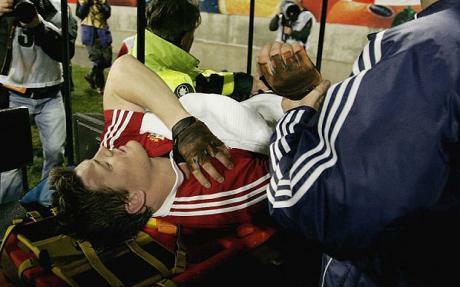 As he is probably one of the best players ever to pull on an Irish shirt and in his playing days, his standards were always for perfection, he is in a place to hand down criticism. This team has nothing like the quality of players assembled by Jack Charlton so it is unfair to be overly harsh on them. Giovanni Trappatoni has achieved his target of reaching a major championships but without players of sufficient quality to grace such a vaunted stage. There are rumours of dissent among the players, quality young players are being ignored and his ideas seem to focus on his way or no way – a recipe for disaster when other teams know the script before taking the pitch. Ireland is not producing the Roy Keanes, Liam Bradys, Paul Mc Graths etc at present and even if we were, Trap might ignore them! Many of his players now ply their trade in lower status teams and are not on the mercurial wages of many of their illustrious predecessors. 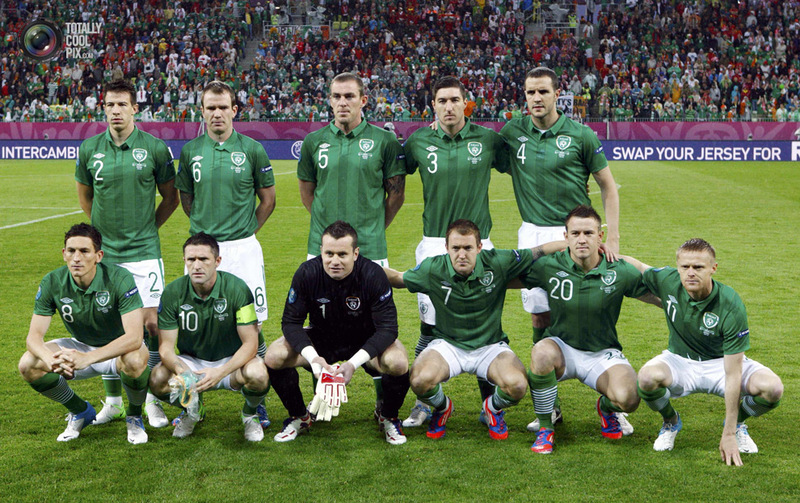 Even though it is a political hot potato, maybe Enda Kenny is right – why not join forces with our fellow islanders north of the border and form an all island Ireland team. In the past, it would have been a delight to see George Best, Pat Jennings, John Giles and Liam Brady play together in green. There could be future talent waiting in the wings on either side of the border and what a joy it would be to see them playing as a united team. It works well in Rugby – where would this team be without Rory Best, Stephen Ferris, Andrew Trimble and previously such luminaries as Willie John Mc Bride, Mike Gibson and Trevor Ringland. We are too small of an overall population to be splitting our resources. 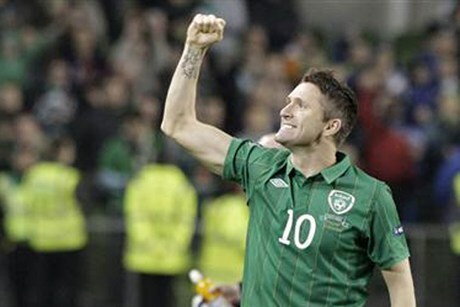 When you compare the leadership qualities of both Robbie Keane, Ireland’s soccer captain and Brian O Driscoll, our rugby captain, both are top scorers and multiple cap winners for their country, there is no comparison. O Driscoll appears to lay his life on the line everytime he wears the green of Ireland, while Keane, admittedly a trier, drifts in and out of games and often lets the head down if things are not going our way. Of course, his cause is not always helped by a very poor service from mediocre players, while O Driscoll has a lot of quality players all around him to help his case. Roy Keane and Enda Kenny are shooting from the hip on different angles but our soccer team will not achieve miracles without the best talent available from this tiny island as a whole. We might be higher in the rubgy pecking order as only a relatively few nations play at the top level but our cause is helped immeasurably by being an all island team. 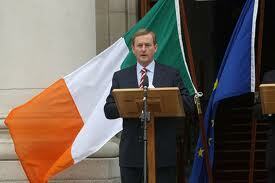 As with the Peace Process, let us move forward towards sporting unity and maybe political unity might follow someday. 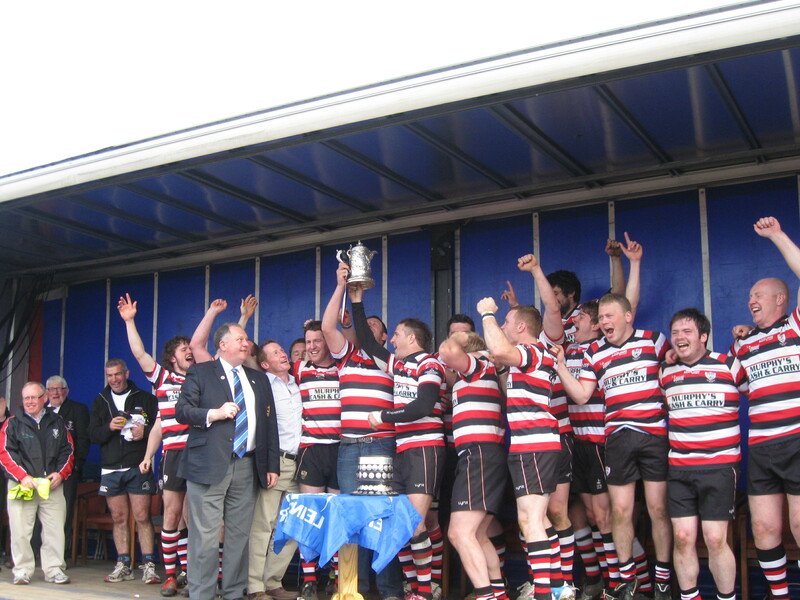 My home town team, Enniscorthy Rugby Football Club, where I started playing the game as a kid and later as an adult for 5 or 6 years, won it’s 7th Provincial Towns 1sts Cup in its centenary year by defeating Tullow RFC at Portarlington yesterday, 15th April. With 4 successes way back in the 1920’s, another in 1963 and most recently before yesterday in 1989, they have proved to be remarkably consistant with wins roughly in each generation of it’s 100 year existence. 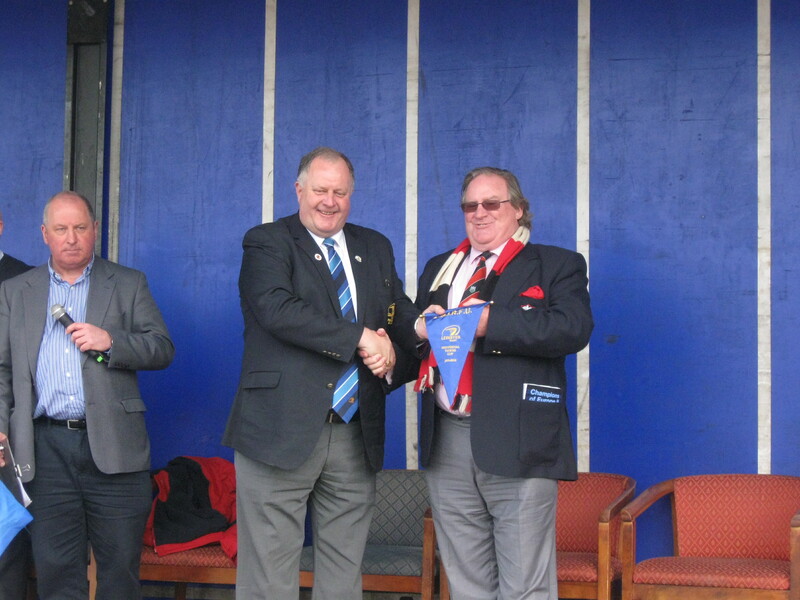 My first cousin, another Charlie Kavanagh, had the honour of being club president for this landmark year and relished accepting the accolades on behalf of the players and club. Another cousin Charlie, in company with his brothers and my nephew Terry, were kept up to date with events in the early hours of Monday morning down in Perth, Australia. This win literally reverbated around the world! 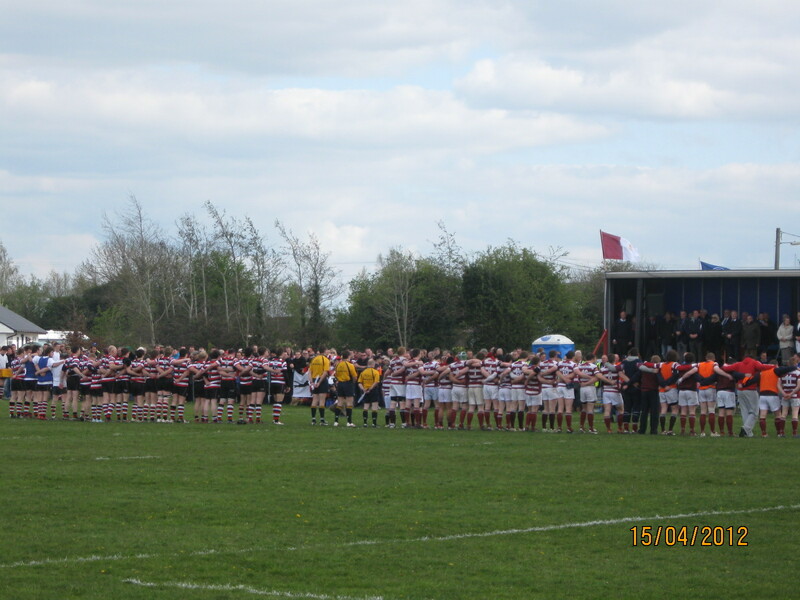 Both Tullow and Enniscorthy come with the reputation of being two of the best supported Junior clubs in Leinster and the huge crowd at Portarlington was testament to that. Supporters were 3 or 4 deep all around the ground, with opposing fans intermingling in good humour in the fine weather. Once the National Anthem was out of the way, the noise levels lifted and the game commenced. With the wind at their backs, ‘Scorthy were quickly out of the blocks and played most of the early 20 minutes well into the Tullow half. Good Tullow defense and an off day for kicking by the Enniscorthy fly half Ivan Poole kept them scoreless but eventually the pressure told and captain Ross Barbour crashed over for a well taken try, converted by Poole. Soon afterwards, Poole finally found his range with a penalty to leave the score 10 – 0. With a few minutes to go to half time, ‘Scorthy winger Hughie O Neill weaved his way through several poor tackle attempts to score on the opposite wing, diving bravely under Tullow men to get his touch down to give his team a 15 point lead. Tullow were now in danger of being annihilated and responded with gusto. They totally dominated the last 5 minutes of the first half and were rewarded with 2 penalties to leave the half time score 15 – 6 in favour of the Wexford men. Having bossed the game in all areas of the pitch in the first half, it was up to Enniscorthy to hold their nerve and cool to contain a determined Tullow side in the second half. Scrums, lineouts and back play were all dominated by the Wexford men, with only their goal kicking letting them down. Now playing against the wind, indiscipline started to creep into the game and the ‘Scorthy open side flanker was lucky not to see yellow for throwing punches in front of the referee. 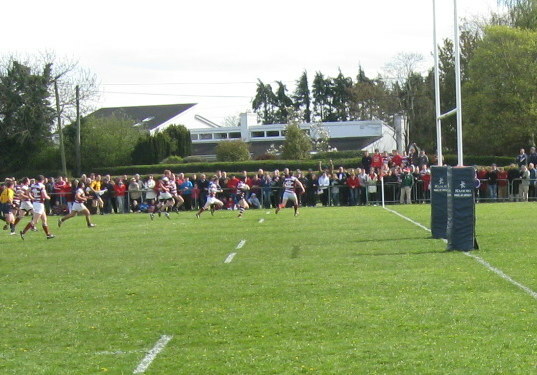 Willie Canavan kicked a long range penalty to close the gap to 6 points. Not long afterwards, veteran forward and former Leinster hero, Deccie O Brien did however find himself cooling off in the sin bin for an offense. Tullow missed this kick and a few minutes later, Enniscorthy had another try from a determined forward drive that released the backline and Fiachra Ryan ran in for a 5 pointer in the corner. 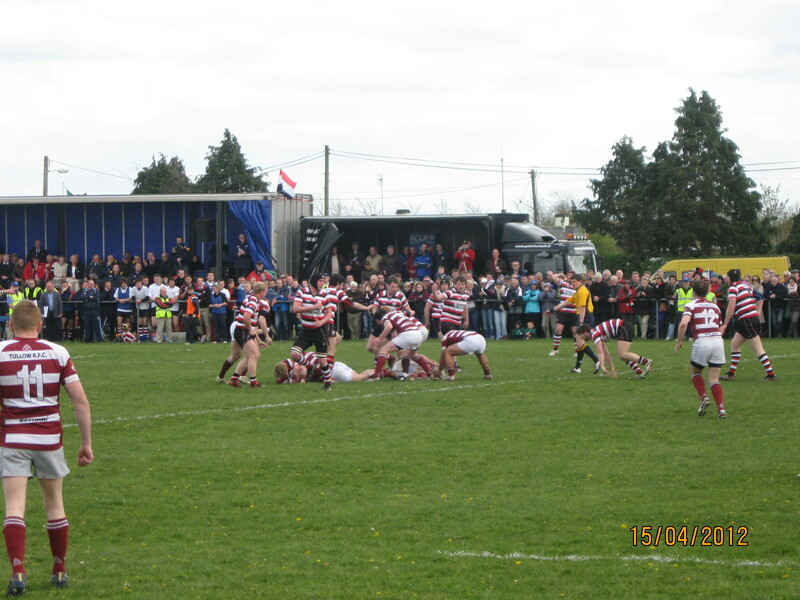 A few minutes later, Poole made it 23 – 12 and the game looked over. Enniscorthy were playing well but Tullow just would not go away. 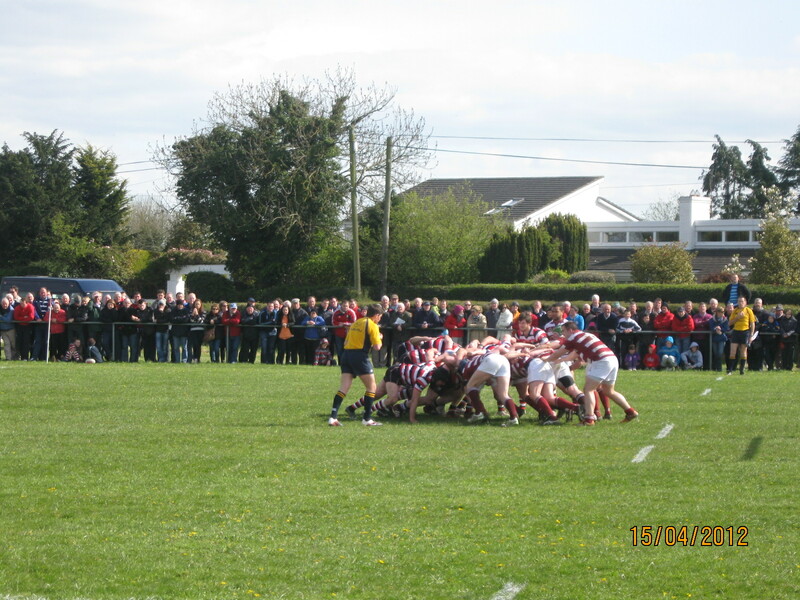 With time running out, they applied a serious amount of pressure to the Enniscorthy try line, eventually forcing their way over for a try in the dying minutes. With the score at 23-17, they needed another try but the clock was against them and Enniscothy deservedly took their 7th PTC trophy win in their centenary year. Championes, championes ole, ole ole. 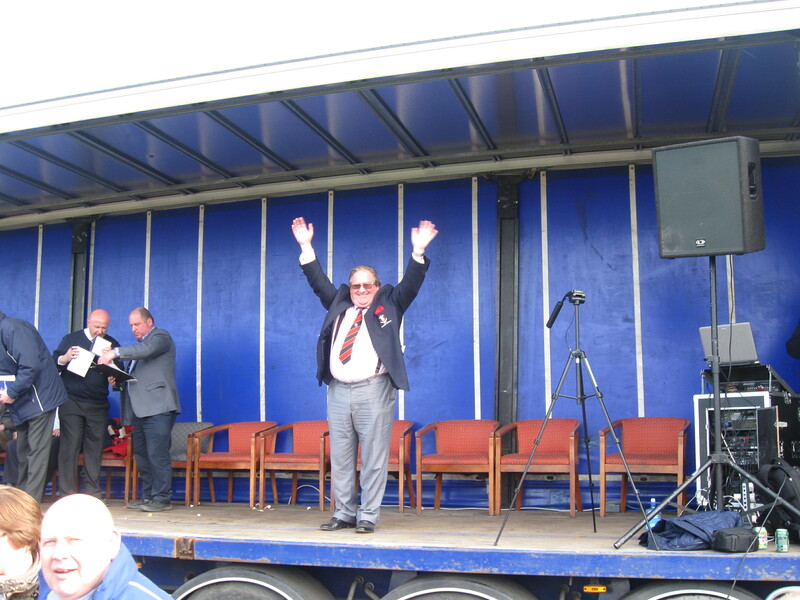 Charlie Kavanagh, my namesake, made a speech on behalf of the victorious club, commiserating with Tullow and congratulating Portarlington on a well run event. He pointed out that scrumhalf Alan Jacob was the brother of Darren Jacob, the jockey who rode Neptune Collonges to Grand National glory the previous day, a very proud weekend for their parents and family. 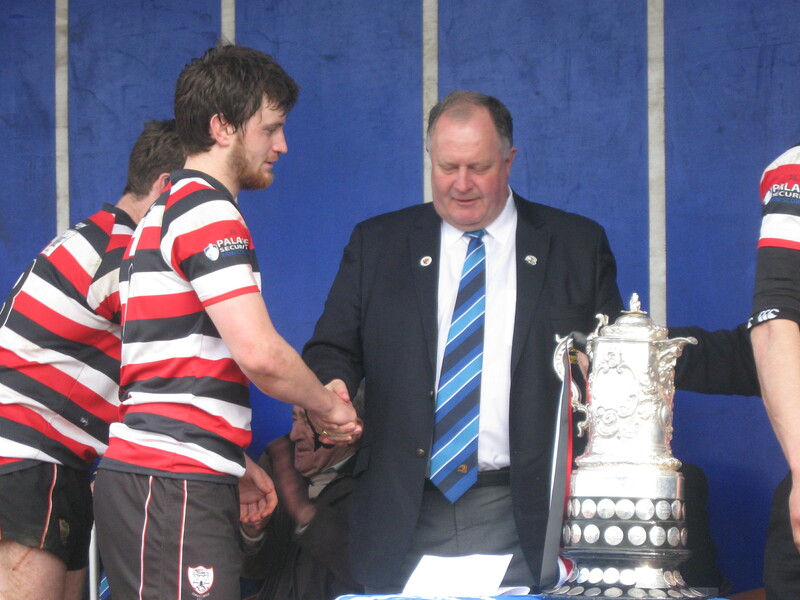 It was a fitting way to celebrate 100 years of rugby in Enniscorthy and all players and teams can take credit for the Clubs endurance and performance over that century. He made the point that he had to be home before Tuesday evening, as his wife was due back on Wednesday – a veiled reference to the last extended celebrations in 1989, when they beat Mullingar to lift the PTC. It was great to be there to witness the success of my old club for which I still have great affection and strong family ties to. Rugby is alive and well in provincial Ireland and with Tullow producing current Ireland star, Sean O Brien, let’s hope these strong nurseries will prosper for several more years to come. 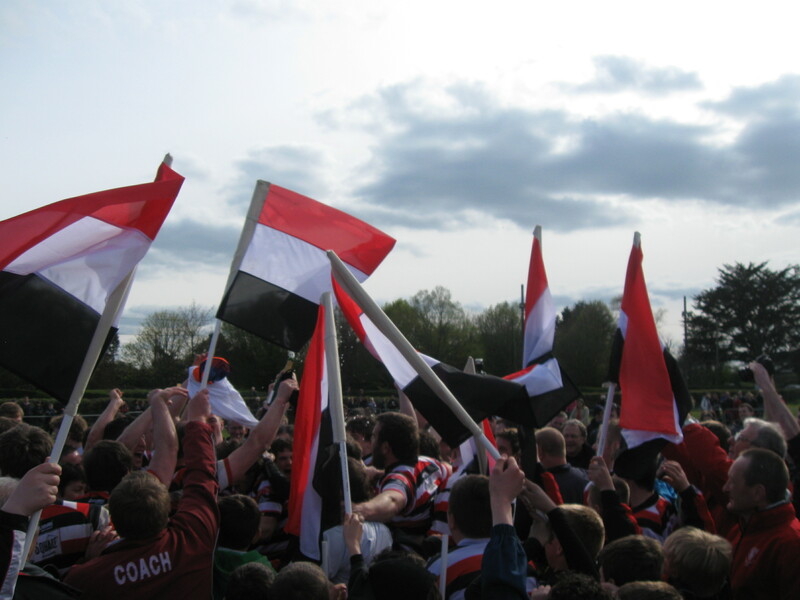 Well done Enniscorthy Rugby Club – we’re proud of you all. 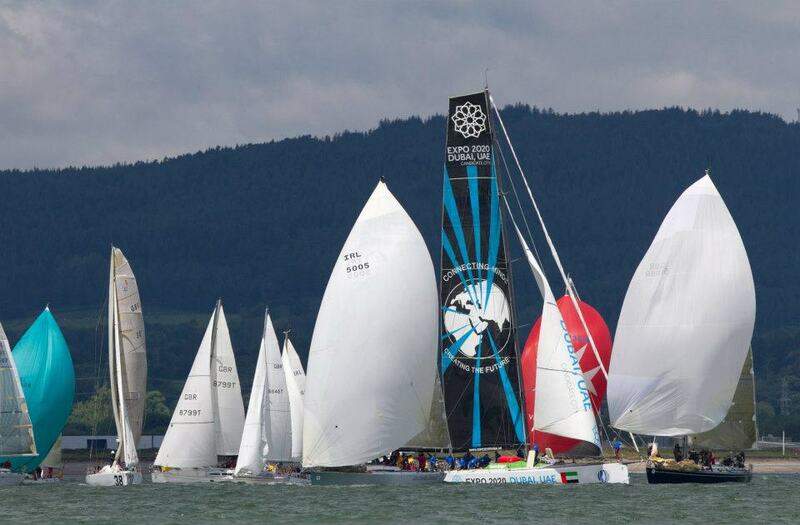 The Conway Media Round Ireland Yacht Race and SailFest were huge successes due in no small part to the weather. Watch this video clip to get an idea of the great occasion. The 2012 Round Ireland is starting to click into gear with 4 entries already confirmed and a healthy number of advance enquiries in the pipeline. The SailFest committee are pulling out all the stops to make this years Festival bigger and better than 2010 – a tall order. All support will be welcome. In a tense and absorbing game worthy of a Rugby World Cup Final, the magnificent New Zealand All Blacks just scraped past a determined and possibly unlucky French team on a scoreline of 8 – 7. It was truly a great game of full on committment from both sides. With all the talk about which French team would turn up – the discord in their camp, the rumours that the coach Lievrement was relegated to the background by the players and the fact that they had lost 2 pool games, including one to their final opponents – rugby supporters everywhere were apprehensive. They needn’t have worried; the players to a man defended heroically, showed more flair than their illustrious opponents and seemed to edge the up front battles for most of the game. It was a game of two halves and also of the halves, i.e. the half backs. The All Blacks struck early on with a soft try by Tony Woodcock from a lineout close to the French line. 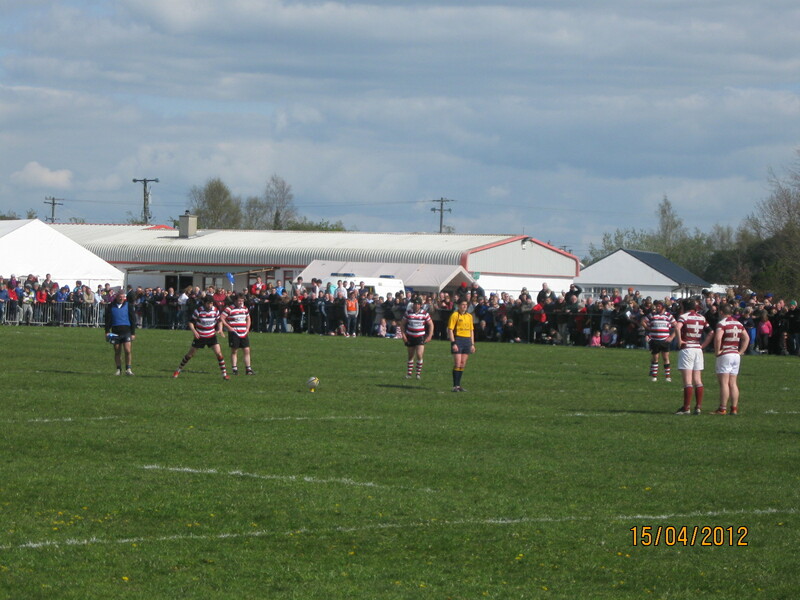 Scrum half Piri Weepu failed with the conversion and also 2 penalties, leaving the score 5 – 0 at half time. For the French, their out-half Morgan Parra, his game ended when he suffered a head injury after a big tackle on no. 8 Reid and was replaced by Francois Trinh-Duc. A similar situation occurred not long afterwards when the All Black stand-off Aaron Cruden was replaced by their 4th choice, Stephen Donald. Play was scrappy but the committment from both sides made up for it and an enthralling contest was promised for the second half. 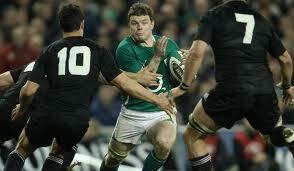 The French came out with all guns blazing, taking the game to the All Blacks. After a missed penalty by Yashvilli, Donald however stepped up to the mark to put over a long range penalty leaving the score 8 -0. This spurred the French back into action and from a poor chip kick by Kiwi Keepu, they gathered the ball and play swept one way then back again for captain Thierry Dusautoir to score beside the posts, converted by Trin-Duc. Game on. The All Blacks heads were down, they looked tired on the pitch but they hung on bravely to deny a combative and determined French 15 from snatching the Webb Ellis Trophy out of their grasp. Both sides were led by the example of their captains, Mc Caw and Dusautoir, but neural supporters would not begrudge the best rugby team on the planet their hour of immortality and glory. Richie Mc Caw has played almost every game with a screw in his foot and has not trained for the duration. They were the best team in the tournament, have been overall the best team for at least 20 years and fully deserve to be World Champions. Well done the All Blacks and a word of congratulations to a gallant French team also – you always seems to perform on the greatest stage. I would also like to compliment the Irish commentary team of Ryle Nugent and Donal Lenihan, you were streets better than your counterparts on ITV. I can go back to enjoying my Sunday morning lie-ins again but will miss the quality rugby that was a feature of many of this years RWC 2011, especially Ireland whopping the Wallabies – sorry Geoff! 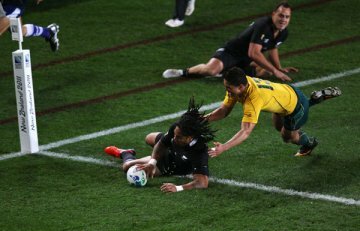 Well Australia were finally found out today and came up second best to an awesome All Black side in todays RWC semi-final by 20 – 6. Quade Cooper started the game in the worst possible fashion on his “home” turf with his drop off being kicked out on the full – the Kiwis in the stands jeered for all they were worth. That set the tone for the first 15 minutes by which time New Zealand were 8 points to the good with a try for Ma’a Nonu, from a break by Israel Dagg and a penalty by Piri Weepu. The game came to life mid way through the 1st half with a charge to the Kiwis try line by good Wallaby back play but they were held up by superb defense. At least, the neutral supporter knew that it wasn’t going to be a Black-wash and we had a contest between the current Tri Nations Champions and the long acknowledged best team in the world, the current All Blacks. O Connor landed a penalty before Cruden and Quade Cooper traded drop goals with Weepu wrapping up the half time score at 14 – 6 with another penalty, having missed a few kicks just left of the post. Both teams were missing super star players – Dan Carter for the All Blacks and Kurtley Beale for the Wallabies – but as the game ebbed and flowed, their absence was regretted but wasn’t crucial to either team. Cruden, the 4th choice outhalf and snatched from heading off on a holiday to Florida, was competent and also confident enough to take a drop goal opportunity. Ashley Cooper at full back for Australia didn’t do anything wrong but was starved of ball as were his fellow backs by an impressive Kiwi pack both in the tight and loose. Unlike the Wales v France game, there were no controversial decisions to affect the flow of the game and it was the battle of the two best 7’s in the world that exemplified the final result. Pocock was pinged for a few early infringements and it seemed to affect his game whereas his opposite number, the mercurial Mc Caw, led his team by example and was prominent throughout the match. The All Black pack proved to be the better combination of 8 forwards on the day, with their loose trio of Mc Caw, Kaino and Read dominant in all phases, ensuring a good supply of go forward ball for their team to rule the roost. The second half was again well contested by both teams but the longer the game went on, the less likely Australia looked like getting in a killer blow to unsettle their New Zealand opponents. Keepu struck twice more, the second as a blood substitute for his replacement, Ellis, to bring up the final score 20 – 6. It was a tough physical encounter with some exciting phases of play but not the most entertaining of games. The only yellow card was for Sonny Bill Williams, a sort of modern day Jonah Luma man mountain, who walked after only a few minutes on the pitch for a shoulder charge into the bete noir of the Australian team, former Kiwi, Quade Cooper. It now sets up a classic north-south final between France and New Zealand, replicating the first RWC Final in 1987, which the Kiwis won in attrocius weather conditions. France have had a terrible tournament – losing two pool matches, including against next weeks opponents and were lucky to get past a far better Welsh side in the semi-final. However, their Gallic flair is always just a hair’s breath away and if the inspired French flair team turns up, this could be an epic final. 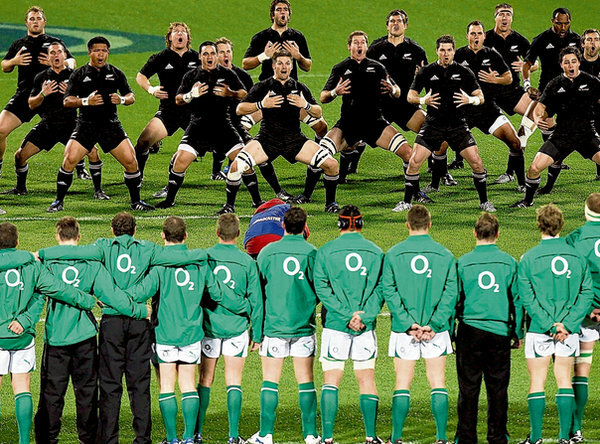 Rugby followers the world over want to see a game to remember for all the right reasons – yes, the All Blacks deserve to be Champions but they must prove that to all and sundry at Eden Park on Sunday 23rd October 2011 – only a week away now. Allez Les Noires et Les Bleus – bonne chance les deux. Just a quick thank you to John K Johnson, my first fan. What a time to have to make a potential match changing call – almost 20 minutes into a Rugby World Cup semi-final between Wales and France – Irish referee, Alain Rolland, sends off the Welsh captain, Sam Warburton, for a spear tackle. Wales went on to lose 8 – 9 in a very tight and hard fought game and needless to say, the major talking point was the red card. 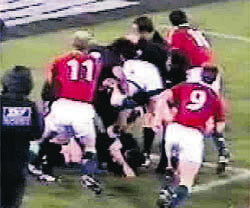 Ireland has a vested interest in this particular tackle, as a very deliberate version of same happened in the opening minutes of a Lions Test with the All Blacks when two Kiwis combined to deliberately spear Irelands golden boy and skipper, Brian O Driscoll, into the ground, seriously injuring him and very nearly finishing his playing career. The referee in that incident took no action and the Lions lost their tour skipper and key player to a deliberate and malicious foul. Losing the test series could also be pinned to the incident. The controversy raised by this internationally brought attention to the spear tackle and now it is proscribed in the Rules and if deemed such by the match referee, an automatic red card offence is the penalty. In todays match, Warburton, a dynamic young Welsh skipper, was seen to lift and upend Clerc before dropping him to the ground. Fortunately, he was not injured but without hesitation, Alain Rolland had flashed the red card and Wales were down to 14 men, with c.60 minutes still to play. The referee was following the directions laid down by the head of the International Rugby Board referees grouping, Paddy O Brien, who are responsible for the practical implementation of the Rules of the game. Yes, it was a game changer. Yes, it wasn’t a deliberate or malicious tackle. And yes, Warburton is not a dirty player – but the rules are the rules and he must accept them. Debate is now raging around the rugby world about the rights and wrongs of this ruling and it was interesting to hear the two way spilt on RTE’s panel – George Hook and Tom Mc Gurk agreeing with the decision and Brent Pope and Frankie Sheahan saying it was a yellow card offence. I have to say, it is my opinion dangerous tackles must be eliminated from the game and even though in this case it seems a bit harsh, the correct decision was taken. 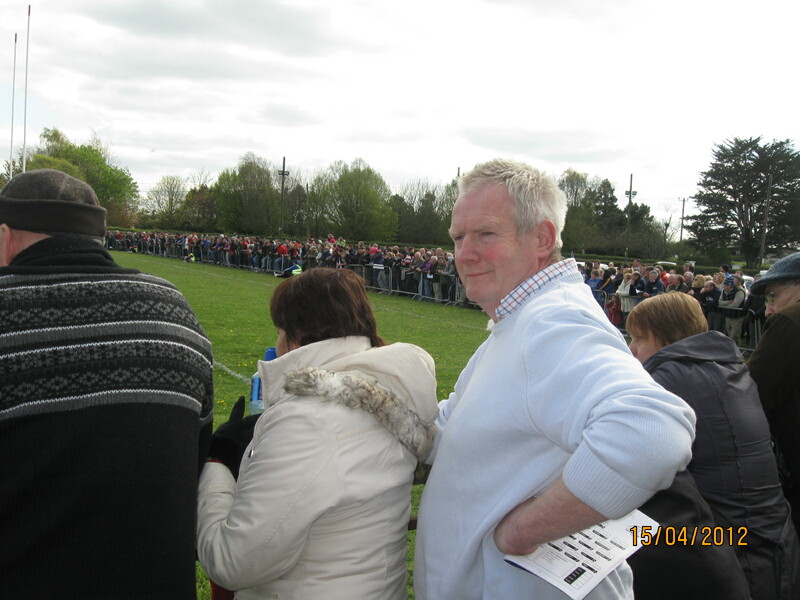 The split in the RTE panel will probably be reflected through the rugby clubs around Ireland, but Pope and Sheahan will have almost 90% support across Wales, where a major injustice has been perpetrated on their Red Dragons by a half Irish/Frenchman! Spear tackles have caused controversy for a long number of years and potentially could result in a very serious injury – broken neck, spinal or head trauma – and need to taken out of the game. 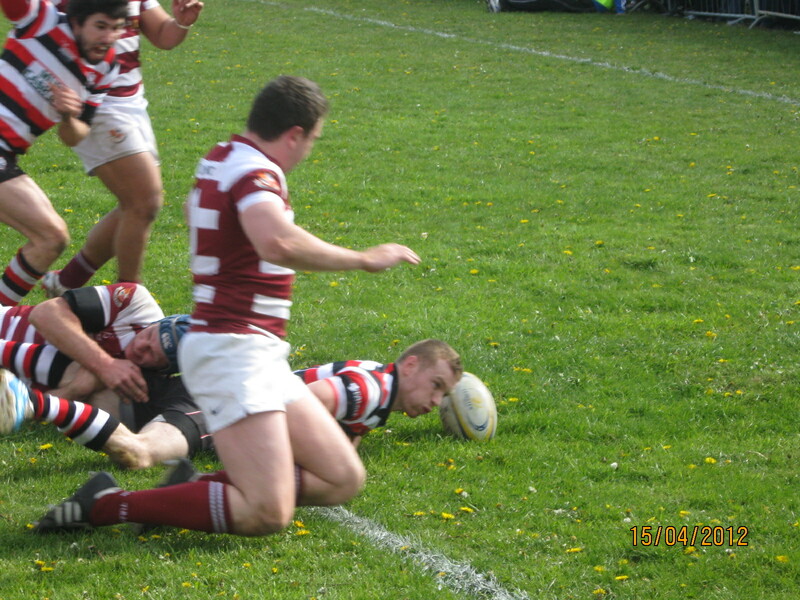 For a defending player to lift, upturn and drop or drive the tackled player to the ground is a deliberate move requiring strength and determination to bring it off. With TV being so integral to the game nowadays, every phase of play and every tackle can be viewed over and over, from different angles with very little escaping the viewer. High tackles, spear tackles, taking players in the air and other dangerous aspects in the tackle area are closely monitored by the referees and touch judges and it is in the best interest of the game worldwide, that they are penalised and eliminated. This game was there to be won by the Welsh – a penalty (1 from 3) by James Hook and an opportunist try by Mike Williams to 3 well taken penalties by Morgan Parra (3 from 3) was the scoring record, but scarcely reflected the game. France were poor, created virtually nothing while Wales missed out on 11 points from kicks and 3 missed dropped goals in a game they shouldn’t have really been in, if France had capitalised on their advantage in numbers. Again, the better team lost, not because they lost their skipper controversially, but because they couldn’t convert their chances. France now await the winner of Australia and New Zealand for their 3rd Rugby World Cup Final on Sunday 23rd October. Will it be 3rd time lucky and which French team will turn up? On their day, they can be mesmerising but so many times, they leave their elan behind and frustrate their supporters and rugby followers everywhere. 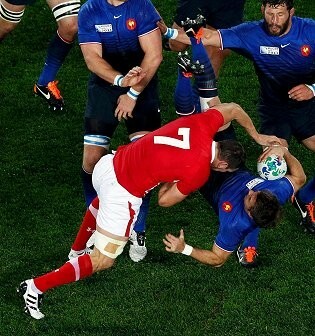 Lets hope for the sake of Rugby Football, the real France turns up this time and makes a memorable game of it. I am proud that Alain Rolland had the ballons to make a very brave call in the cauldron of a major game – the game needs referees who have the courage of their convictions and it was no fluke that he was the man in the middle for the 2007 Final. Well done Alain Rolland.